Mosquito Peak may not sound like an appealing destination on name alone. 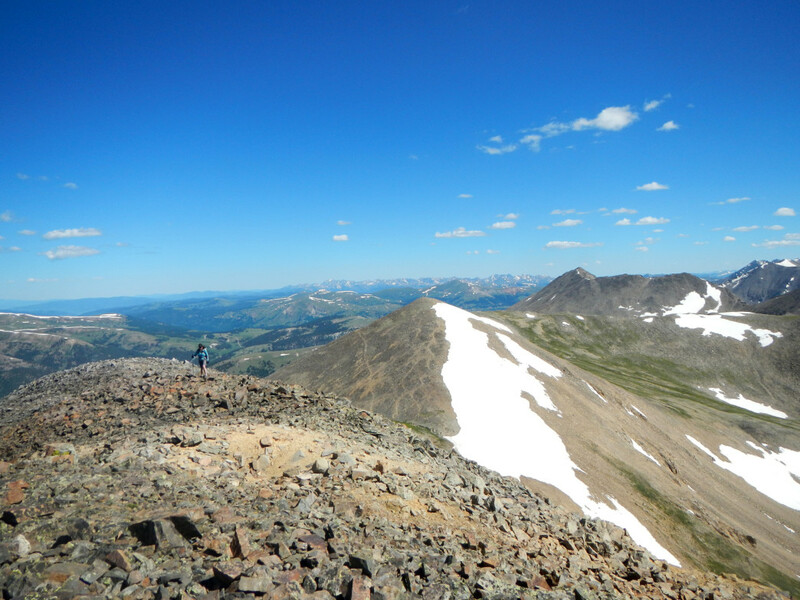 But this 13,781-foot summit offers a beautiful day in the mountains—along with the chance to pick up a second peak, 13,701-foot Treasurevault Mountain, both of which are part of the Mosquito Range. By one historical account, the Mosquito Range—and its namesake features—were named when a dead mosquito was found on the official form requesting a name for the region. 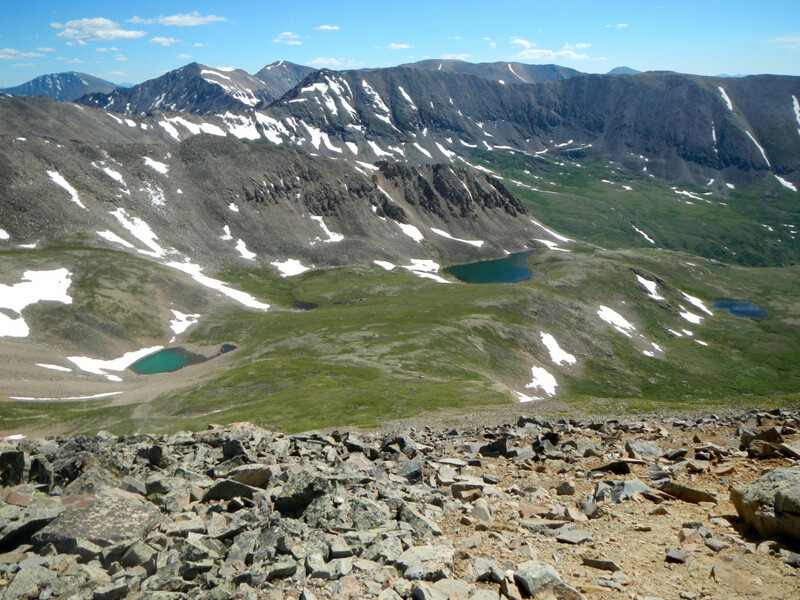 Because they are so close together, only the higher Mosquito Peak is officially ranked—it’s the 115th-highest peak in Colorado. Though there are no formal trails up either mountain, the off-trail hiking is easy class 2 along grassy slopes, with a few easy rocky sections along the way. This area is rich in Colorado mining history, with intriguing mining ruins, including the mill ruins of the North London Mine, and a collection of pristine alpine lakes add appealing elements to the backdrop of jagged Colorado mountains. Some years, the snow slopes on the east sides of the peaks stay around throughout the summer. For ambitious hikers who want to tack on a third summit, 13,194-foot London Mountain can round out a big day. Here, a rundown on how to plan your adventure. This peaceful valley is decorated with lakes, streams, and pine forests. Hike up along Mosquito Pass as it climbs up a quartz-cobbled hill, taking in great views of the old North London Mine and its aerial tramway towers as you hike higher, along with the long ramp of Long Mountain. 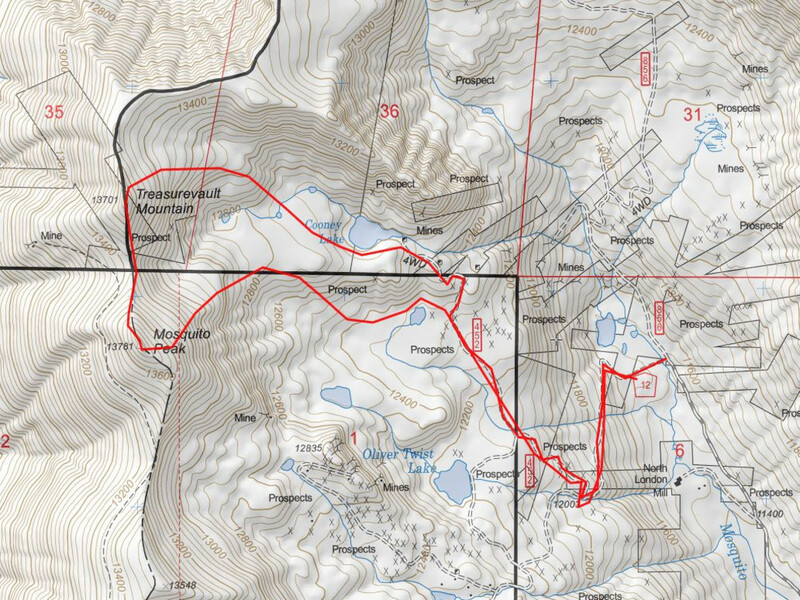 At 0.7 miles, turn right into an unmarked 4x4 to ascend through willows to Cooney Lake. Stay on the road as it bypasses a few small lakes and willow marshes (in spring and early summer, water may be streaming down the road). It’s a pleasant walk to Cooney Lake, 1.8 miles in at 12,600 feet. From the sparkling shores of Cooney Lake, the twin summits of Treasurevault Mountain (right) and Mosquito Peak (center) loom above. Grassy slopes lead up to both, though the easiest way to tag them both is get Treasurevault first, then traverse to Mosquito and descend via its accommodating northeast ramp. Note that there is a prominent peak with a communications structure on it at 13,548 feet to the south (left) of Mosquito Peak. It’s an unranked peak, but worth a visit if you’re looking to extend your day—it’s a 0.7 mile walk over from Mosquito Peak, and you can even follow an old mining road that connects with Mosquito Pass. First, ascend on the south side of Cooney Lake up the grassy slopes of your choice to Treasurevault Mountain. It’s roughly 1.1 miles from Cooney Lake to the top. There are no trails, but the terrain is solid and the footing never too steep. 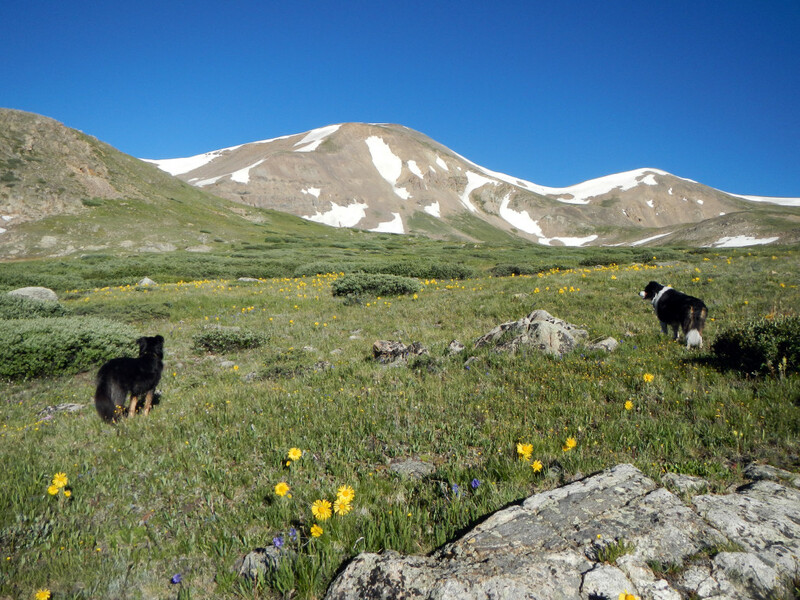 Wildflowers bloom in great droves all the way to the high saddle between Treasurevault and its ridge to the north. Veer southwest to reach Treasurevault’s lofty summit, where impressive, spacious views of the Sawatch Range dominate the western landscape. 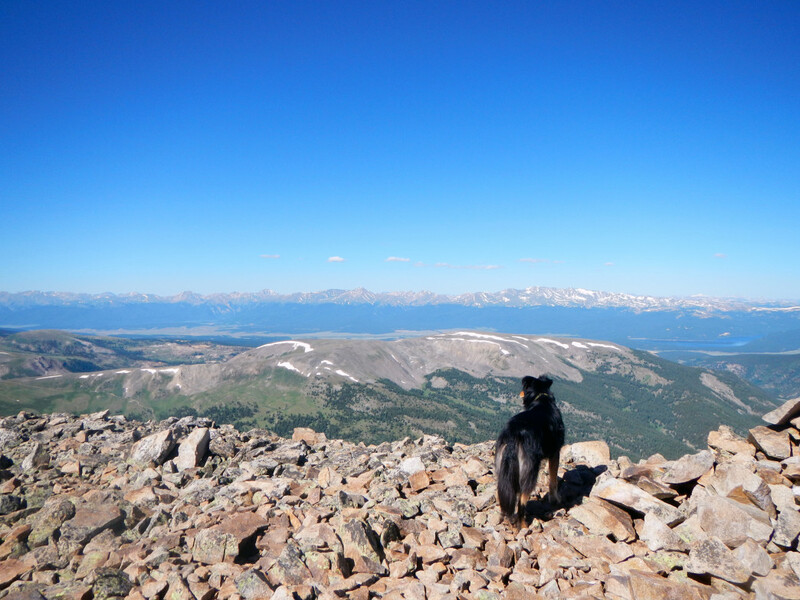 This includes Colorado’s two highest peaks, 14,433-foot Mount Elbert and 14,420-foot Mount Massive. Descend Treasurevault south and head toward Mosquito Peak, only 0.4 miles away. 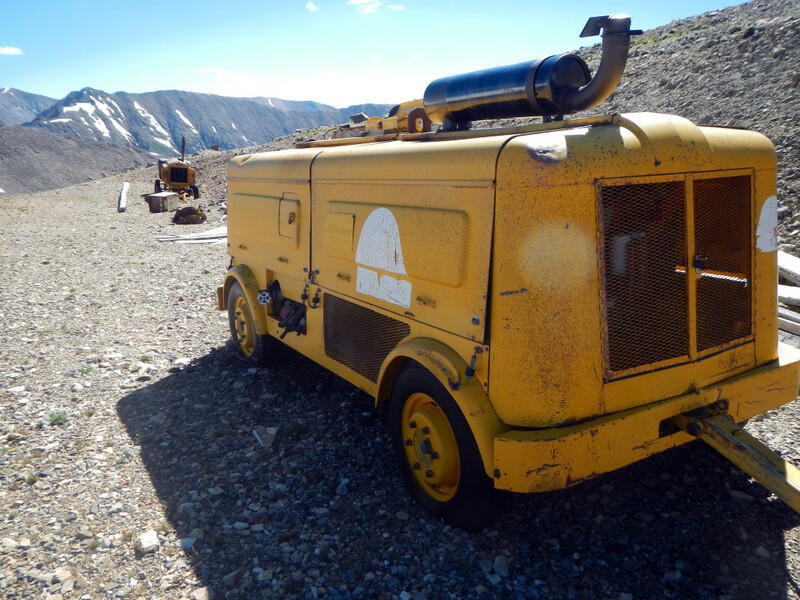 Glimpses of the west side of Mosquito Peak reveal an old mining road and a few old, neglected vehicles and tools in the saddle between the peaks. After inspecting the mine ruins, a rocky but fair hike with a few loose boulders will bring you to the summit of Mosquito Peak 3.3 miles in. Just before the summit, you’ll get a look at the ramp back down towards Cooney Lake—a relief to discover, since the sheath of most of the west side of the mountain is a pile of boulders. Take your time descending Mosquito Peak, which is a little rocky at the top but eventually yields to soft, grassy slopes. (Note that you won’t have to return to Cooney Lake.) A low saddle to the right drops down to a gorgeous, unnamed lake that serves as a nice shortcut back to the 4x4 road and eventually, to Mosquito Pass and the parking lot. Roundtrip mileage is about 5.7 miles with 2,400 feet of elevation gain. 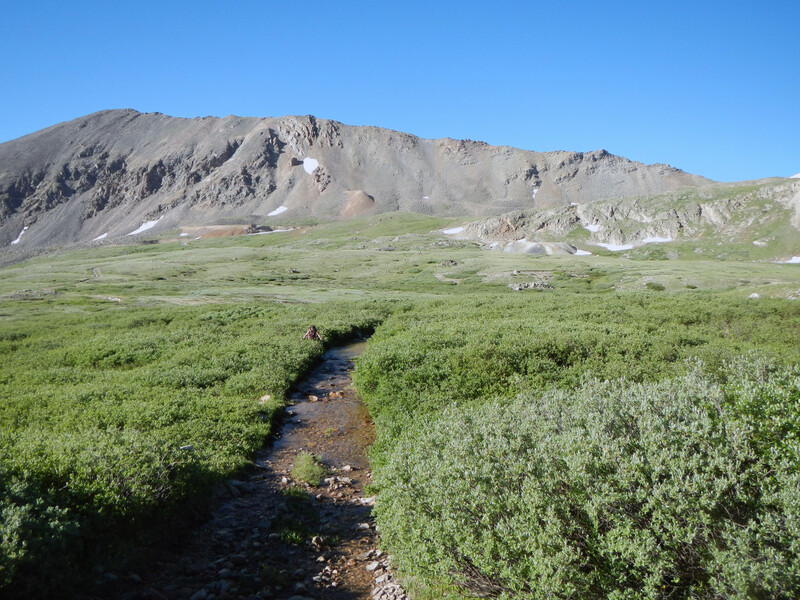 If you want to add London Mountain, descend Mosquito’s rocky southeast ridge to more alpine flats, then traverse up the rocky, class 2+ terrain up to London Mountain, 1.9 miles from Mosquito’s summit. Return to Mosquito Pass for an easy walk back down. This three-pack is 7.8 miles with 3,000 feet of elevation gain. This area is very low traffic but relatively easy to access and the lakes on the way are wonderful places to enjoy a snack and take a few photos. 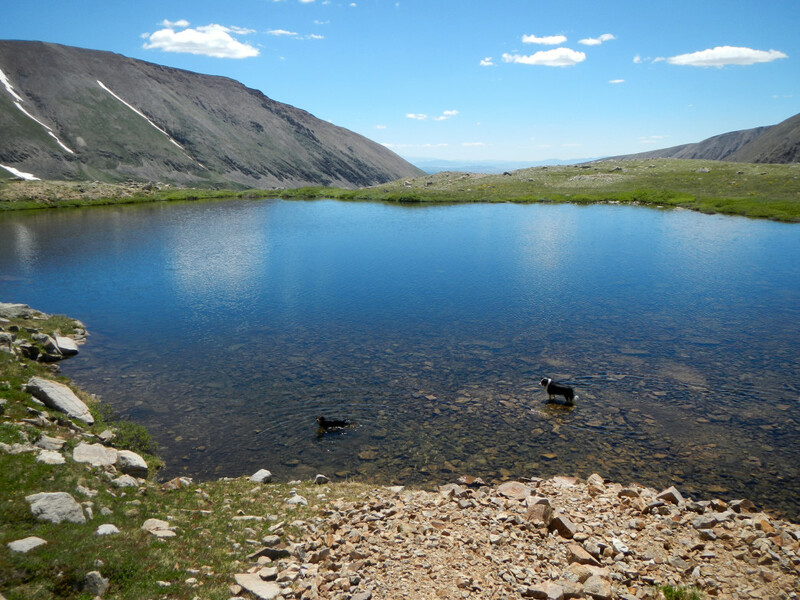 If you’re looking for a pair of 13ers to explore over a summer weekend, these lonely summits would gladly enjoy your company. The drive from the Denver/Boulder area is about two hours. 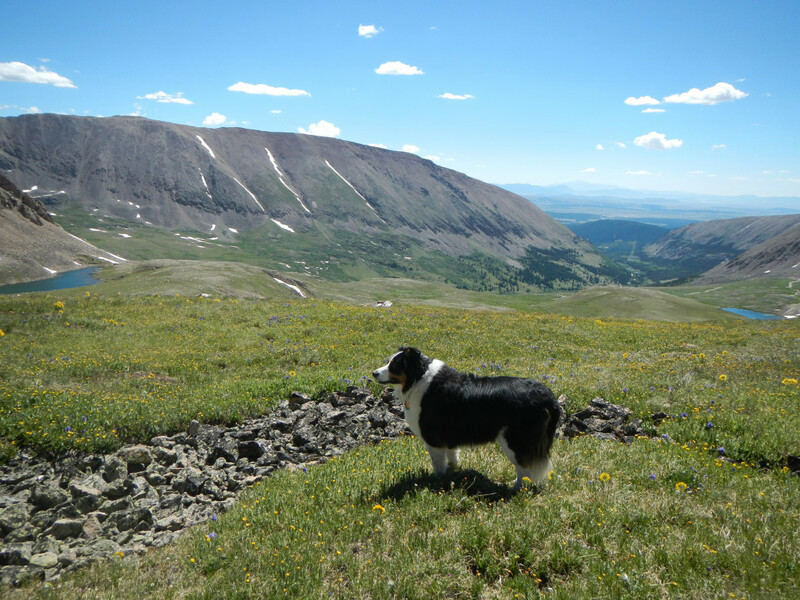 Take Highway Co 9 south from Breckenridge over Hoosier Pass to the small town of Alma. It’s also possible to reach Alma from the Boulder/Denver metro area by taking Hwy. 285 to Co 9 and heading north. About a mile south of Alma is Park County Road 12, also known as Mosquito Pass. To reach the parking area involves driving on a bumpy 4x4 road with lots of rounded, embedded stones. SUVs and Subaru Outback-type vehicles will be fine, but low-clearance passenger cars might be challenged by a few ruts. Follow CR 12 past the small community of Park City, staying on the main road (Mosquito Pass) for 6.9 miles from the junction with CO 9. At a bend in the road is a small parking area at 11,400 feet, just past the ruins of the North London Mill on your left. Most vehicles, stock SUVs included, should park here. Beyond this, Mosquito Pass transforms into a more legit 4x4 road that Jeeps and tougher SUVs can handle, but it only saves a short amount of time.